One of my favorite movies is “Simply Irresistible”. What is not to like little romance, food and magic. 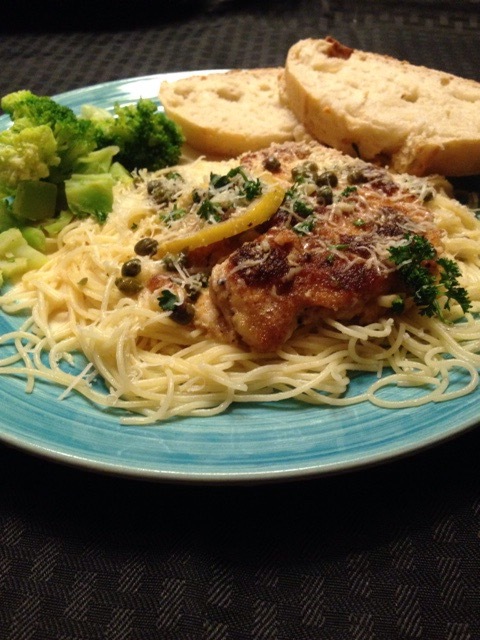 Having watched it recently I was inspired to make Chicken Piccata. 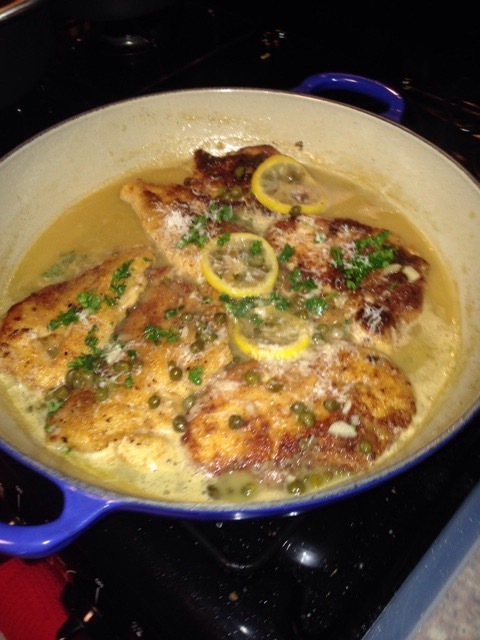 I have never had Chicken Piccata, but it just sounded so exotic and had to try to make it. Surfed many sites, but of course my usual addiction to Pinterest won out. I found a nice recipe that looked pretty simple and gave it a try. My choice was to serve it over angel hair pasta with a side of steamed broccoli and homemade bread. This recipe was great because I got to use one of my kitchen gadgets. My mandolin which is not used a whole lot, but try to use when I can so my daughter does not classify it as UKG (useless kitchen gaget). For the longest time she has given me a hard time about getting a gadget for the kitchen and it not really serving a pourpose. She has finally seen the use of our egg slicer, but other stuff in the kitchen drawers she has not given into. My family enjoyed it but my daughter was not to crazy about the capers. Which I had drained and rinsed several times before adding. So next time I make I will make her plate then add capers to the rest of pan for my husband and I.